Today’s post is a collection of odds and ends – thoughts and observations about our life as it intersects with our finances. None of these topics are enough for a full blog post at this point so this is a clearinghouse for our thoughts at this moment. We had a bit of a scare a couple weeks ago with the townhouse we rent. A leak developed in the ceiling of the lower floor, directly below the upstairs bathroom, into the hallway in front of our washer and dryer. We figured out the drip was only happening when we used the sink, not the shower or toilet, and there was no leak directly below the sink. We called our property management company to report the leak. 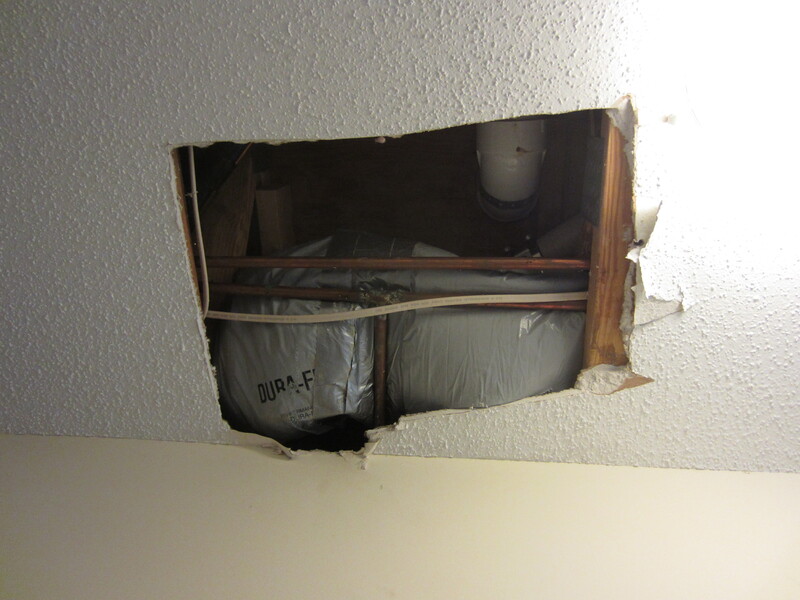 We thought it would be kind of a big deal – don’t they always want to prevent water damage? They didn’t get back to us right away so we started mad cleaning and straightening up the house. There were a couple messy disaster areas that we didn’t want our property management company seeing! When the property management company finally got a plumber to call us, they scheduled a time to come out two days later. We were a little worried that the property management company might blame us for the damage and that it would be expensive, but it turned out to be fine. That’s what they’re there for, after all! 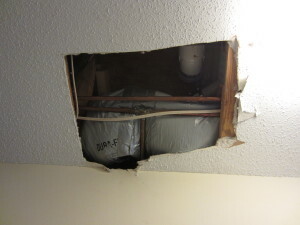 Now we have two giant holes in the walls and need to re-contact the property management company to get them patched up. One of the areas I tackled in our mad cleaning was the floor of our walk-in closet. It was littered with clothes and shoes and random crap. Thankfully, I did NOT take a “before” picture (above is “after”). Going through just the closet spurred us to bag up for recycling or throw away about 10 pairs of shoes between us (completely worn out shoes, not just unpopular) and drew my eye to the tons of clothes we have that are worthy of trashing because of their condition or donating because we wear them so rarely. I sometimes fool myself into thinking I’m sort of minimalist because I so rarely buy things, but we’re just total pack rats so we still have a LOT of stuff even if we’re not adding to it at a fast rate. To be totally honest with you, we still have some boxes that we have not unpacked from our move almost a year ago (below)! We obviously don’t need any of that stuff since we haven’t even looked at it in a year. So I’m gearing up some motivation here to go through all our stuff and get rid of a lot of it through donation, selling, recycling, or trashing. It’s really important to do this soon, especially for Kyle’s things, because after he moves out I don’t want to be stuck doing all of that when I’m packing up the house to follow. While we were waiting around for our property management company to contact us, we figured we should see how run-able my car is in case we would have to move it. We stopped driving it and took it off our insurance and became a one-car family in March 2012. Our plan was to drive it weekly in the parking lots just to keep it from rusting out, but I stopped driving it last fall after we moved. A few weeks ago we tried starting and jumping the car just to see if it still ran at all, and it wouldn’t stay on so we were a bit freaked out. This time around, we hooked up Kyle’s car battery to mine for about ten minutes and then my car stayed on after we disconnected it. I was able to drive it around our complex a few times! When we finally turned it off it wouldn’t re-start so the battery is completely dead, but at least we know it runs okay. We’ll charge the battery up completely soon (or buy a new one) and see if that fixes it up. The balance in this savings account is now $3,132.96, which is $1,009.46 in excess of what we estimate to want in that account by this month (buffer plus rolling savings for various expenses). We’ve let money build up in that account because of our uncertainty regarding the repairs my car would need. We can definitely cover the original estimate of $1200 in repairs but we were nervous that we had further damaged the car by letting it sit idle for so long. Now that we know the car mechanically works, I don’t think we need all that excess money in this account. We could cut back on that savings partially now and completely when we finally make the repairs. This money can go for other savings goals or into our emergency fund. Kyle and I are both growing weary of some of our targeted savings accounts. I hate writing that because I love some of our targeted savings accounts and I still believe it can be a good system. However, as some of our goals have changed it may be appropriate to switch our strategy. Certainly the looming uncertainly of where we’ll be living and what our routines will be throw off the efficacy of these accounts. The targeted savings accounts that are working well for us are: Cars (aside from the repairs mentioned above), Medical, Entertainment, CSA, Appearance, Taxes, and Charitable Giving. However, now that we have a few concurrent goals we are muddying the lines between some accounts. We want to buy a camera but aren’t sure if that should take precedence over taking a vacation in a few months. Basically, we might have to more or less combine our Nest Egg, Travel and Personal Gifts, Electronics, and Camera accounts so we can use the money toward purchases as they come up. However, Kyle and I are having a disagreement over how to let the boundaries go! I would rather change our current savings rate but leave the balances alone, whereas Kyle would rather move money from one account to another without changing the savings rates. This is one of those tiny issues that we can both get really stubborn over. As time passes, though, I think I’m going to have to relent because the balances are getting so out of line! Have you ever experienced damage in a rental property and were you blamed for it? How do you prepare for car repairs? What is your strategy for getting rid of possessions? Are you currently dissatisfied with any areas of your budget? 23 Responses to "Money Updates from the EPF Household"
Unpacked boxes get such a bad rap. My cold weather gear for work is bulky and only needed a few months out of the year. I didn’t need it when I moved into this new place, so those boxes are tucked away in the corner ready for November. Then the summer gear goes in the boxes. When the weather warms up again, it will all switch again. Do I have too many clothes? No! I just have a lot of clothes that are only appropriate for certain times of the year. I totally feel you, but like I said those boxes have been sitting packed for 11 months! We don’t even know what’s in them! There is literally only 1 item in our household I’ve missed and who knows if it’s even in there. I’m in the same boat as you with stuff. I don’t buy much but I also don’t get rid of much, so it ends up just accumulating. We’re cleaning out a room in prep for a new baby, and so far it’s been a lot of relocating my stuff rather than actually going through it and getting rid of what I don’t need. That needs to change. Matt Becker recently posted..Why Do You Have to Beat the Market? Relocating all our stuff to our new place is basically what we did, but it would have been so much easier to purge at the same time! Get on that! We don’t really have separate accounts for most big and irregular line items (the only one we really do that for is our Roth IRAs since that’ll be $11K when we deposit it around the end of the year). Instead we keep a big cash buffer and just run those expenses through our “operating” capital like any normal purchase. Most of the time this works really well since our savings rate is high enough on average that we have a lot of flexibility. I think the one-account/cash buffer model would work better for us now than when we started the targeted savings accounts! We actually have enough money now that we can shift it here or there without causing problems in other areas. We actually do the same. We have all of our savings combined. It works well as it gives us flexibility. 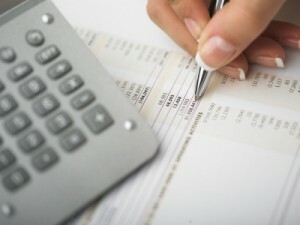 Savvy Financial Latina recently posted..How Do You Focus? 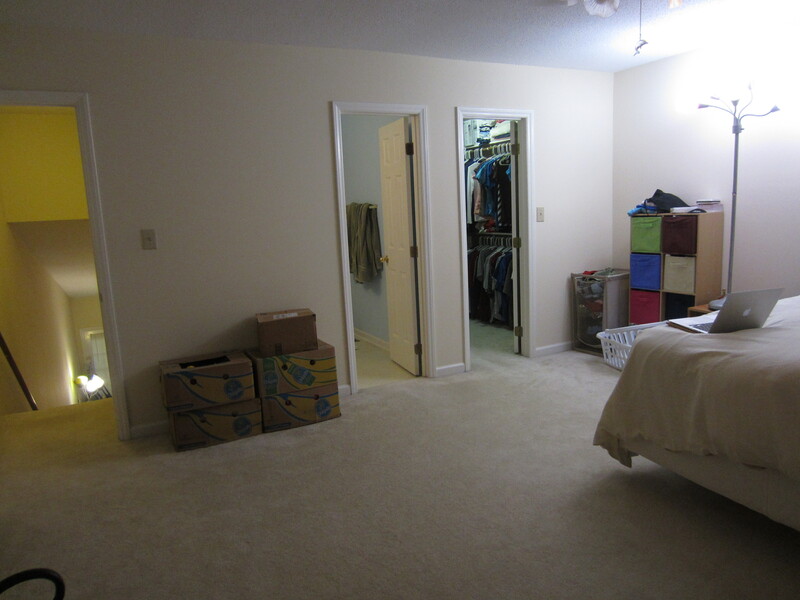 We have gotten rid of a ton of stuff in the last couple years (moving kind of forces that) and it has made a big difference in making our smaller house feel much more spacious, spending less time cleaning, and feeling less owned by our stuff (if that makes sence). Becuase my fear is that if we get rid of something we will have to buy it again if we ever need it, it helps to think through the following. 1) Have you used it in the past year? If not, you likely won’t use it again. 2) What would be the cost to replace it? If minor, then your risk is only cost to replace * chance of use. So actual risk is much less then replacement cost. (remember to use a “used” replacement cost from say craiglist or thrift store, as that is what your item is really worth, not what you paid for it). 3) Could this item be of use to someone else? If you can donate it or give something to someone else who needs it you have created value, vs an item just sitting in your closet/attic/etc. . You may never get monitary or item value back from that person, but you very well might as generousity usually is returned. 4) is the item loosing value the longer it sits there? This is especially true of technology items. I use to hang on to tons of old computer stuff, but got rid of all of it as it was just loosing value. Now I resell stuff as soon as i am done with it to gain as much value back as possible. 5) really consider how much the item adds to your life or if you would actually be better off without it. That is a great set of questions! I will show it to Kyle as he’s the bigger pack rat of the two of us. 🙂 Great point about the electronics. Lots of good advice in the post and in the comments, too. We feel conflicted about targeted savings accounts, too (e.g. – vacations, home repair fund). I never know how to categorize the money we put aside: it’s saving, in a way, but then we just turn around and spend it later in the year. I feel like they throw off our savings rate numbers. For now, we just count it as spending…but oddly, I count it as spending twice (first when I put the money into a savings account, then again when I finally spend it). I think of the targeted savings as savings-for-spending – “deferred spending” is another good term. You are right that it is a bit weird – even our retirement savings we hope to spend someday, right? (Or maybe just the returns?) I really only consider retirement/long-term savings to be savings, but maybe once we have mid-term goals we will consider that saving as well. I’d say it’s better to call it saving once than spending twice, though! Now that we don’t make a huge amount more than we spend each month, I’ve had to figure out how much we need in cash. Right now that’s one number that says, “We need X by next May.” X is a year of tuition + a year of daycare + 2 mo emergency fund + 3 mo summer money. Everything else comes out of my monthly paycheck as needed. That’s a great definite goal. Very simple and rational! I love random lists and posts – usually mine happen on Friday as a super brain dump! I’m going back to renting, after 18 months owning. It’s weird to be vetted so heavily cause I think ‘dude, I own, I get how you feel, I’m the most boring person and you’d love to have me!’. As for damage, I don’t fear I’ll be blamed (esp not water, that’s a building issue not even condo owners are responsible here). I love ‘getting rid’ of possessions. I’m constantly on the lookout of where to have less. Your wardrobe photos had my eyes bugging out after my itty bitty wardrobe, and even smaller one I inspected yesterday! Start with easy stuff – things you don’t like, hate, never use, itch, are damaged. I make a rule I have to hang all art and things like that, and not let things languish in ‘storage’. Haha yeah I’m not really used to walk-in closets yet. I never had one before 3 years ago and this one is larger than the one in our last apartment. 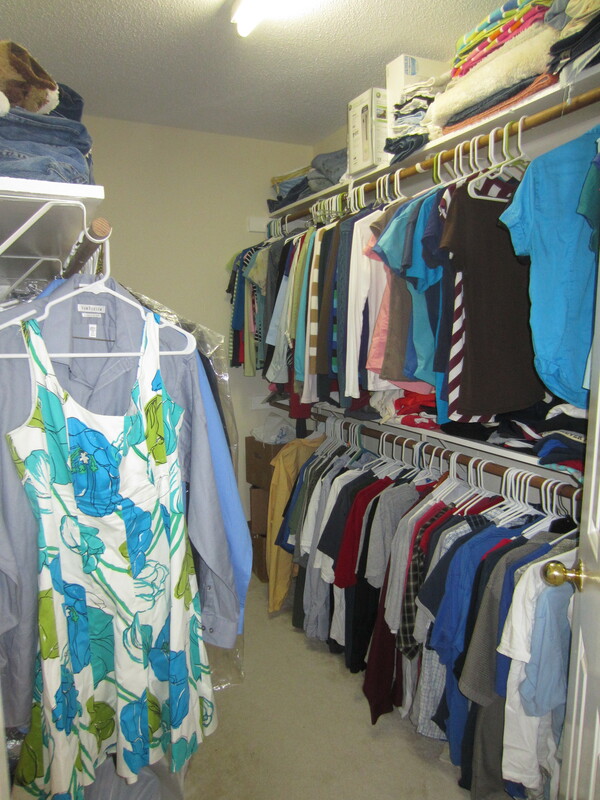 But we have no additional linen closet storage space and the house generally lacks storage space so there’s a lot more in the bedroom closet than we would like. We definitely need to get our wall decor back up! We have a bunch of framed photos still sitting on our bedroom floor. It was like pulling teeth to get anything up on the walls in our last apartment and we have redone the work in this place! Glad to hear the flooding outgo is not a trickle! I have four boxes in the closet full of stuff. One is shoes I never wear anymore. 2 are boxes of clothes. 1 is a box of books. I really need to go through all the stuff. I just haven’t done it. It sounds pretty organized already so it shouldn’t be too much more work, right? Yep! Our shower sprung a huge leak and our cheapskate LL tried to blame us. Later the roof also developed a leak, and he tried to blame us for that too (failed on both counts). WHAT?! What was his reasoning??? We have a few minor things with our apartment that could be worth fixing but I feel it’s such a pain to schedule the superintendent to come and fix as I have to work during his availability so I live with these non-emergency issues. But a serious leak would definitely get a call in my book. As far as the second car goes, did you consider selling or is it not sellable? Yeah, it is a pain to deal with the managers. In our last apartment we lived for years with minor stuff like a broken light! We’ve been slow at getting the holes patched up since it’s not as big an emergency as the leaky pipe. When we stopped driving the second car, we anticipated it being “benched” for only about 1-1.5 years because we’ll likely need two cars again after Kyle moves out. We didn’t think it was worth it to sell and buy a car in that short amount of time – I really like the car and I got a great deal on it and I don’t want to do another search!